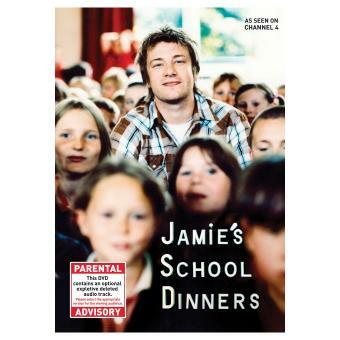 Pure Jamie Oliver magic, which sees the cheeky chef take charge of 20,000 school dinners in an inner London borough. The real stars of course are the kids! Based on the successful 4-part Channel 4 series, Jamie Oliver tackles the problems of poor quality school dinners in his own inimitable ‘bull by the horns’ fashion! 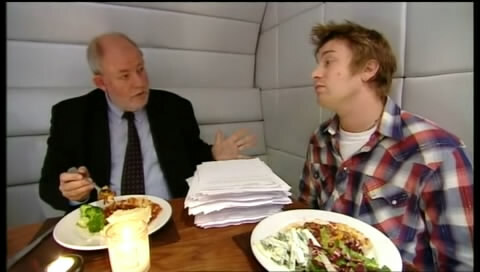 Jamie is concerned that the UK government is not doing enough to tackle poor nutrition in schools and is determined to take matters into his own hands. But it’s not all smooth sailing as some of the dinner ladies object being asked to put in the extra hours needed to prepare some of the dishes. Worse still, some of the children are less than impressed with the superstar chef’s culinary and healthy school dinner alternatives.